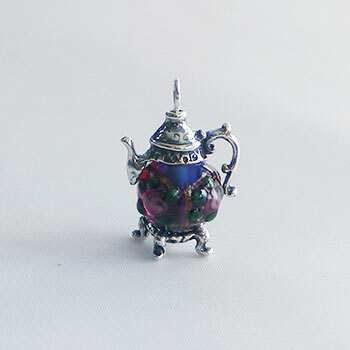 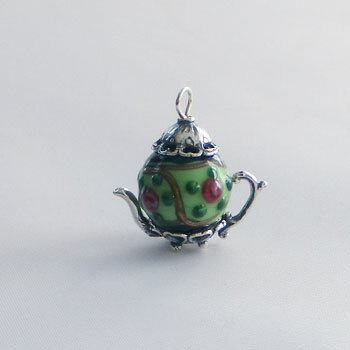 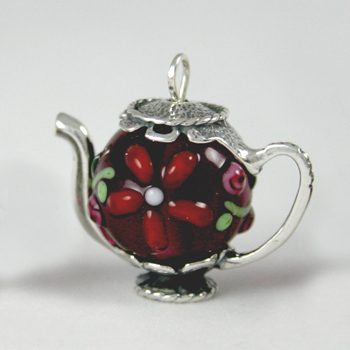 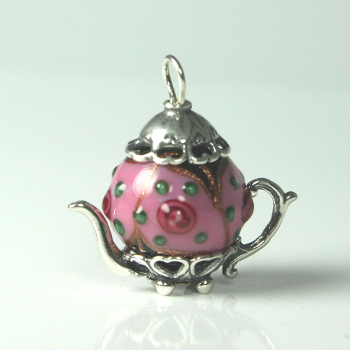 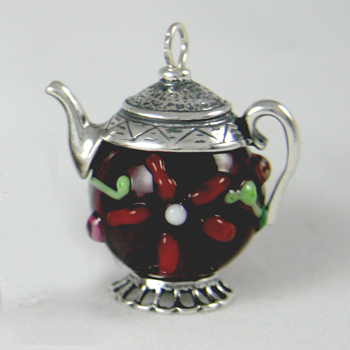 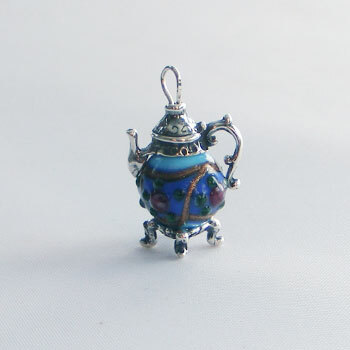 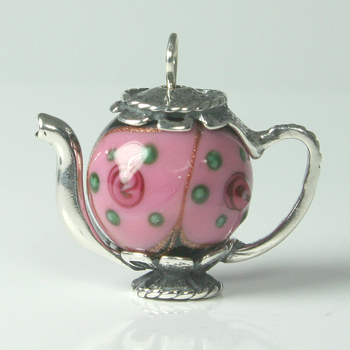 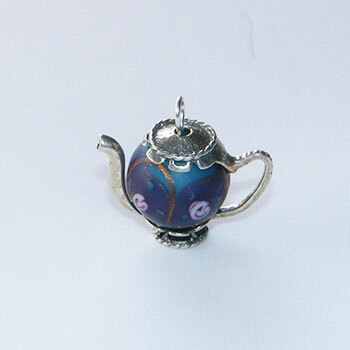 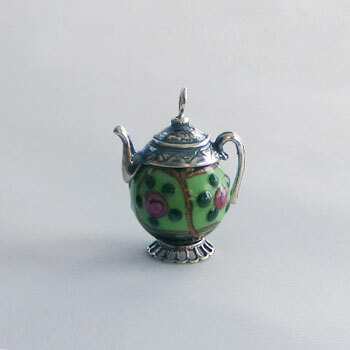 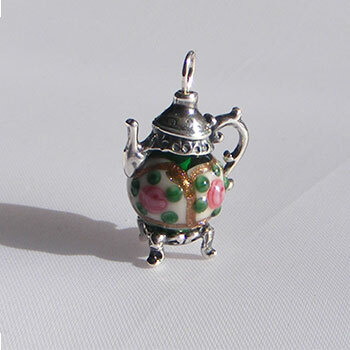 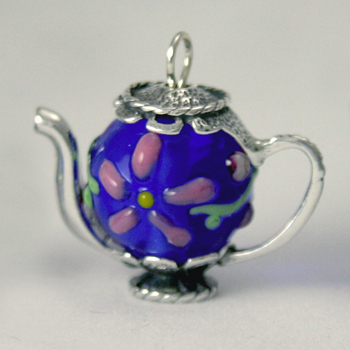 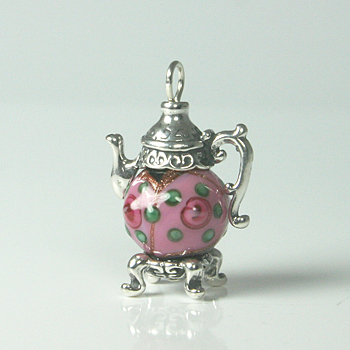 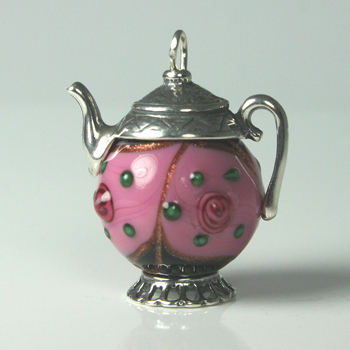 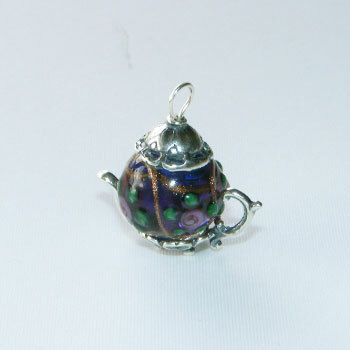 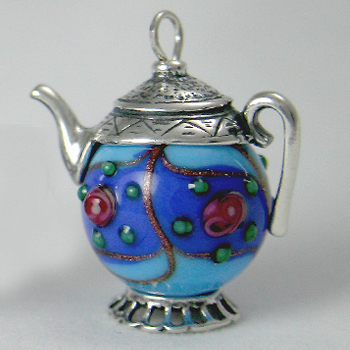 These very rare bead tiny teapots are some of our loveliest offerings. 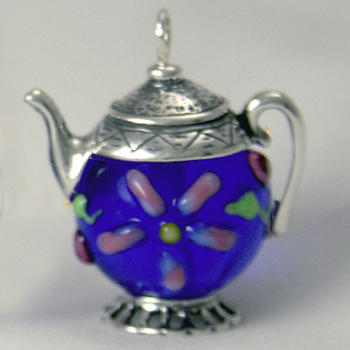 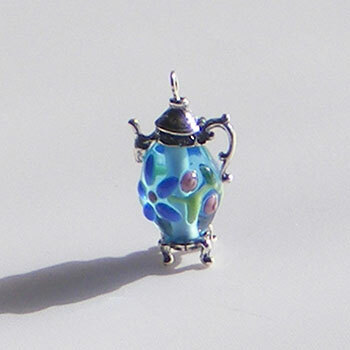 They are lovingly hand crafted just for us by gifted glass lamp work bead artisans in the Czech republic. 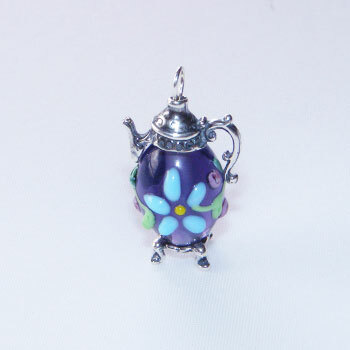 We call them “Raised Czech” as the floral designs are on the surface of the bead unlike our smooth Czech beads with their flowers inside the bead.